Fitbit trackers are almost impossible to ignore, and with a variety of features to offer, they have the potential to turn your fitness world upside down. The problem that most people have is finding the best Fitbit for their personal needs. There are hundreds of different products to choose from and not enough time in the day to investigate all of them. 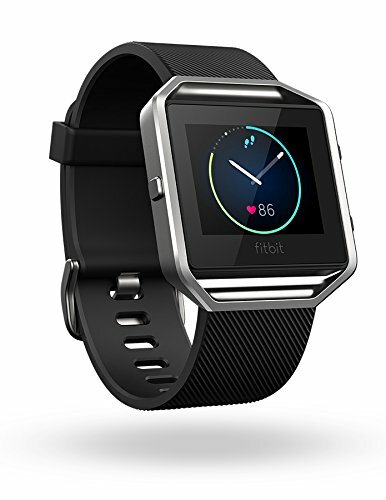 Fitbit trackers are well-known for their compact, convenient design, but it’s the software that makes these devices appealing.You can find many other fitness trackers that look and function better than a Fitbit, but they won’t come with the lucrative software. The Fitbit app is the main reason why consumers choose to purchase Fitbit products. Once you have access to the app, you can monitor your nutrition stats, sleep and daily activity. The app can be used on mobile OS and works just as well on a PC. It also makes it easy to challenge friends and gain motivation, but before you find a Fitbit to buy, you need to know what to look for. First, it’s important to decide what types of metrics you’d like to track. A typical Fitbit can track a wide range of metrics, but some models can track more metrics than others. You need to think about what types of activities you like to enjoy and decide what metrics will improve your performance. For example, maybe you love to run up and down stairs. Since it takes a lot of effort to engage travel up steps, you can burn a lot of calories, and it might be interesting to know how many steps you’ve taken. Most Fitbit devices will tell you how many steps you’ve taken and track how many calories you’ve burned. If you’re trying to lose weight and get in shape, these are valuable metrics to track. However, you might not get as much use out of this data if you’re a swimmer. To find the best Fitbit for your needs, you need to decide what activities you enjoy and select the product that tracks the metrics that are most relevant for those activities. After you’ve thought about activities, you need to consider where the activities will take place. For example, will you be running in a gym? Maybe your plan is to ride a mountain bike on rugged trails, and you need a Fitbit that you can read with a quick glance. It’s very important to think about the environment because your new Fitbit needs to be useful in it. A lot of swimmers choose to purchase a Fitbit, but they make the mistake of choosing a product that isn’t completely waterproof. Many water-resistant products are great for rainy environments, but they’re not designed to be worn underwater. The environment plays a major role in determining what Fitbit device is right for you. If one of your favorite activities consists of riding your bike on bright, sunny days, then you need to make sure that your Fitbit has a screen that is visible in direct sunlight. These are some of the minor details that people don’t think about, and they can make or break the experience with your new fitness tracker. Another simple detail that a lot of people don’t think about is the fit. Wearable technology is only as good as the fit. If you purchase a new Fitbit tracker, and it doesn’t fit your wrist, then the product is almost useless. The whole point of buying this type of product is convenience. It’s designed to be a portable, wearable piece of technology, so it needs to properly fit your wrist. When the product doesn’t fit, it could fall off while you’re biking down a busy highway, which could leave you with a broken device. You’ll find it impossible to swim laps with a Fitbit that doesn’t fit correctly. All of the benefits that you hope to gain from this product can be negated by a poor fit. The good news is that it’s very easy to avoid this problem. Most Fitbit trackers have a sizing char, which makes it easy to get the perfect size. When shopping for a Fitbit, you want to make sure that you choose a good display. You only have a handful of different types of screen technology to choose from, which is why you need to understand how each option works. Many of the latest Fitbit trackers are made with an OLED screen. Also called an organic light-emitting diode, an OLED screen is one of the latest advancements in display technology. LCD and LED screens have been around for many years, and they’re still preferred by consumers. An LED display is illuminated with backlighting. An OLED display is different because the pixels produce their own light. Unlike LED and LCD screens, the brightness of individual pixels in an OLED screen can be controlled individually. The greatest benefit of an OLED display is the contrast, which produces whiter whites and blacker blacks. Put simply, you’ll get the most vivid display from an OLED screen, and LED is also a great choice. Another important consideration is the functionality of the device. In most cases, you’ll need to shell out more money for additional features. After making all of the above considerations, think about the level of functionality you’ll need. If you’re a former couch potato and just want to get started with fitness, you should consider getting a basic Fitbit. The advanced trackers let you record additional metrics, and they’re ideal for individuals who’re striving for greatness. A Fitbit with unmatched functionality is ideal for a person who strives to become the best at their sport. However, that’s not to say that more functionality isn’t useful for a person who just wants to start jogging. There is nothing wrong with wanting a Fitbit with the most functionality, but you must understand that you’ll need to pay a premium for the additional features and options. Below, you’ll find reviews for 10 of the best Fitbit trackers available. 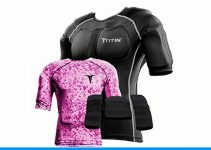 By selecting a product from the list, you can save your priceless time and make sure that you get started with the best products for your needs. 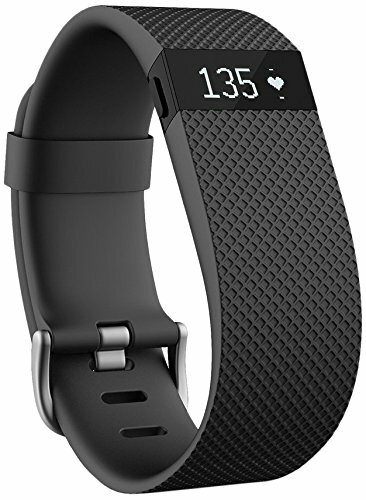 For most people, the Fitbit Charge HR offers plenty of functionality. If you’re just trying to improve your health, this product will do almost everything that you could want it to do. It can deliver automatic, continuous heart rate monitoring and provides simplified heart rate zones. It’s great for tracking workouts and has the ability to track a variety of metrics. This tracker automatically recognizes the moment you start a new workout, and to track how many stairs you’ve climbed, there is a handy altimeter built in. With a silent alarm, the Fitbit Charge HR can wake you up early and get you pumped for a workout. The data gathered by this device is accurate, and the device syncs smoothly with your devices. Although it’s not the best looking Fitbit available, it’s not uncomfortable or too bulky. On a full charge, the battery will last for five days. 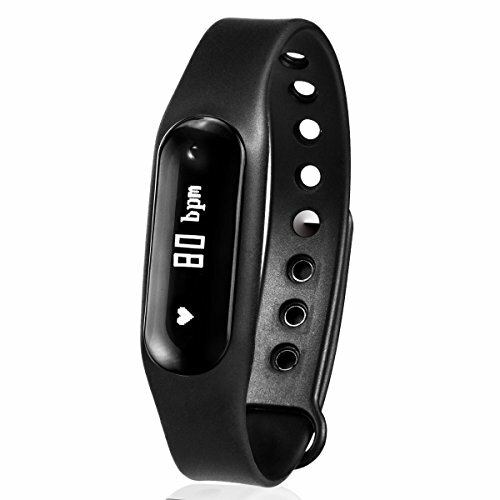 The major selling point for this device is the continuous heart rate monitor, which many other devices don’t have. Unfortunately, the Fitbit Charge HR suffers from the same problem that virtually all other fitness trackers have, which is struggling to accurately track your heart rate during an intense workout session. However, the device is very good at monitoring and recording your resting heart rate. The OLED display looks fantastic, and if you’re looking for one of the best fitness trackers available, the Fitbit Charge HR is a top recommendation. If you’re the type of person who enjoys wearing a watch, then the Fitbit Blaze could be a great choice. This device will do all of the same things that most other Fitbit trackers will do, but there are some differences to consider. 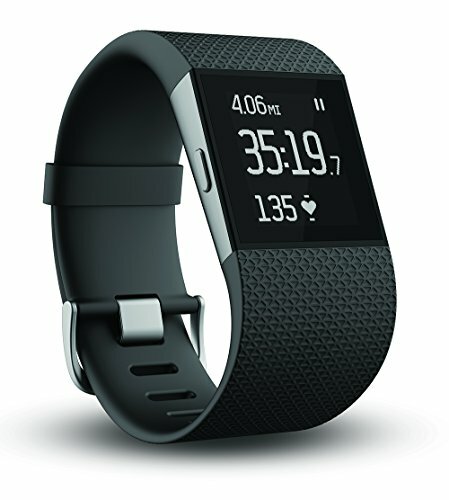 This particular device is very similar to the Fitbit Surge, which focuses on performance, but it doesn’t have the built-in GPS. The differentiating factor for the Fitbit Blaze is the functionality. Unlike many competing products, the Blaze is more like a smart watch. It will display text notifications and allow you to control your music playback. It has a 1.25-inch color touchscreen, and when compared with the monochrome panels that most other Fitbit devices have, this display offers a much more satisfying experience. The color touchscreen is easier to look at and doesn’t require nearly as much effort to navigate. Overall, it’s much more convenient to use than what you’d find on many other trackers. The battery inside of the Fitbit Blaze will run for five days, which is quite remarkable for such a demanding device. It can download guided workouts from FitStar and make exercise fun. Unfortunately, the only smarts that the Blaze has are basic notification and music features. Although it’s not too bulky, it can feel quite a bit heavier than the Charge HR. The Fitbit Blaze can be summed up as a premium device, and if you’re into fitness, it should have no trouble doing what you need it to do. 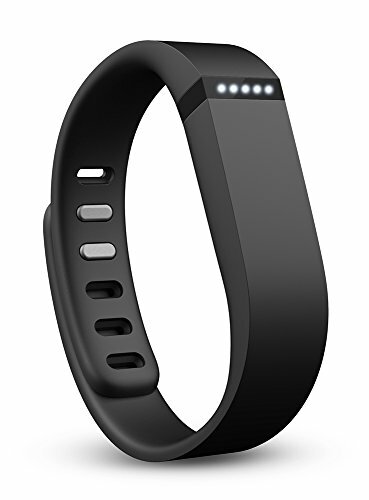 Here we have another popular Fitbit, and it’s capable of tracking several important metrics. In terms of style, the Fitbit Alta leaves plenty to the imagination. For some consumers, the design might even be too basic. However, it’s lightweight, slender and can be worn for hours. If you have thin wrists, you’ll want to consider the Alta before picking up the Surge or Blaze trackers. 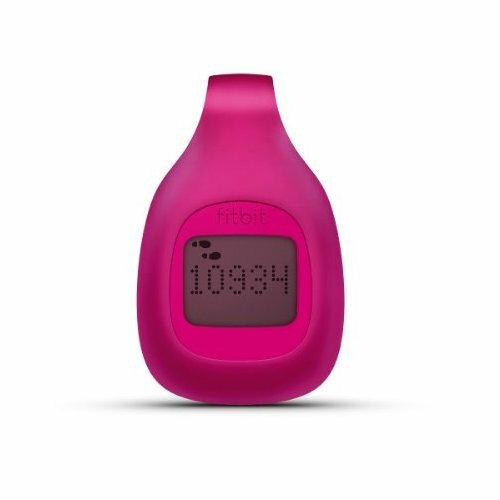 When it comes to being a fitness tracker, the Alta is like a mix between a Fitbit Flex and Charge HR. It doesn’t have heart rate monitoring, but it has no trouble recognizing when you’re sleeping or exercising. If you’ve been standing around too long, it will give you a little nudge. The screen is bigger than what you’d find on the Charge HR, but you might still have some difficulty when navigating the features. If you find comfort to be very important and don’t need a heart rate monitor, then the Fitbit Alta might be worth considering. Unlike some of the other Fitbit devices, this product doesn’t have an altimeter. However, it does have the ability to track active minutes, steps, calories burned and distance. The OLED touchscreen display is easy to read and lets you quickly navigate through important features. The Alta will track how long you sleep at night, and it will also track how well you sleep. You can even get text, calendar and call notifications. For a lot of people, the Fitbit Zip is enough to get them off of the couch and moving in the right direction. In terms of functionality, you’ll have trouble finding a simpler Fitbit. The Zip is very basic, and it will track how many calories you’ve burned, distance traveled and steps taken. It uses a wireless Bluetooth 4.0 connection to sync with your computer and upload recorded workout activity. With the popular app, you can set goals, earn badges and view your progress. You’ll also be able to share and compete with your friends, which is one of the best reasons to own a Fitbit. The app is free to use, and the Zip will automatically sync to your computer. If you want to improve your health and get moving, the Fitbit Zip could be all that you need to get started. It doesn’t offer nearly as much functionality as some of the other Fitbit trackers, but depending on your situation, less might be more. If you’d rather have a device that you can attach to a pocket, the Fitbit One could be a great product for you. 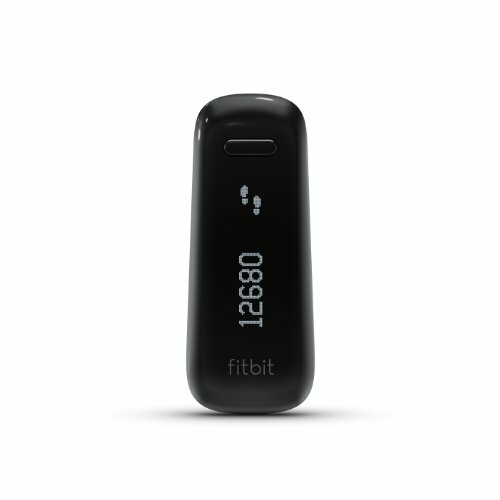 Like almost all other Fitbit products, this device lets you track steps taken, distance traveled and calories burned. Since it has a built-in altimeter, it can even tell you how many stairs you’ve climbed. The Fitbit One will monitor and tell you how long you’re sleeping at night, and it will tell you the quality level of the sleep. 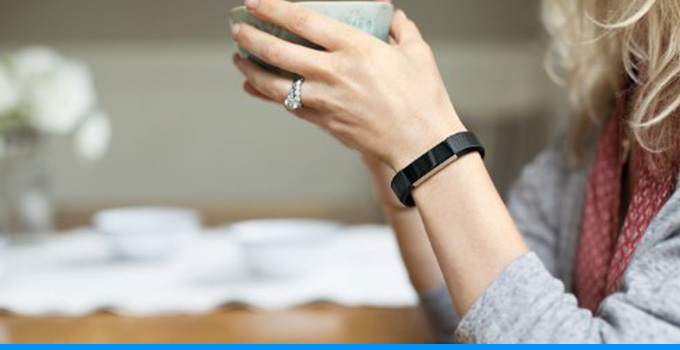 When you need to wake up, the Fitbit One can help with a gentle, silent alarm. It can automatically sync data to your computer, tablet or smartphone, and to accomplish this task, it uses Bluetooth 4.0. When used with the free app, the Fitbit One makes it easy to set goals, earn badges and view progress. On a full charge, the built-in battery will last for two weeks. The Fitbit Flex is another popular member of the family. If you want to make fitness a lifestyle, then you should enjoy this product. 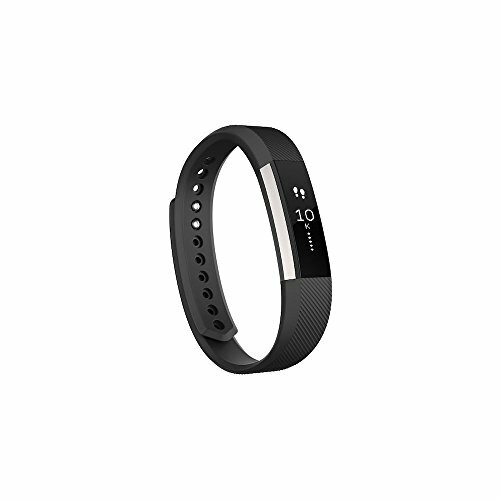 The Fitbit Flex is a stylish, slim device, and it will constantly track your activity. The Flex is capable of tracking calories burned, distanced, active minutes and steps. You can use the LED display to find out how you’re doing and see if you can improve. When worn at night, the Flex will track your sleep activity and let you know if you’re getting good sleep. To gently wake you up in the morning, the Flex uses a silent alarm, and the device is designed for a comfortable fit around your wrist. The water-resistant body can be worn in the rain, so you should never have to sacrifice the quality of your workout. The Fitbit Flex is compatible with 150 different smartphones, and you can access your stats from anywhere. The Surge is a cross between a fitness tracker and smart watch. It has built-in GPS tracking, which is useful for recording elevation, pace and distance. It’s also makes it easy to review routes and check split times. The Fitbit Surge delivers automatic, continuous tracking of your heart rate, and to make the data easier to understand, it uses simplified heart rate zones. You can use the Surge to view workout summaries and track important workout data. The Surge records data for calories burned, active minutes, steps, distance and floors climbed. It also monitors your sleep and lets you know what type of sleep you’re getting. When you need to wake up early, the Surge can get you up with its silent alarm. You can use the touchscreen display to check text and call notifications, and the Surge automatically syncs your activity data to a computer or smartphone. However, if you decide to purchase this product, you need to make sure to use the sizing tool. If you’re looking for a fitness track that is like a Fitbit, then you might enjoy the Garmin Vívofit 2. The style of this device is very similar to what you’d get from a Fitbit, and the functionality is also very similar. 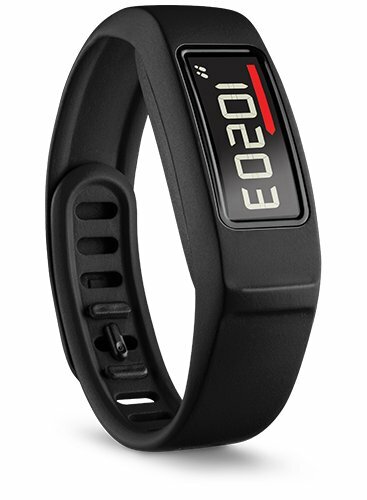 The Garmin Vívofit 2 has a Move Bar, which produces an audible alert when you’ve been inactive for too long. The Move Bar is a useful feature because it helps to keep you active throughout the day. The Vívofit 2 has a backlit display, and since it’s always on, your activity data is constantly recorded. You can turn on the backlight and see your statistics, and the bright display is particularly easy to see in the dark. The Garmin Vívofit 2 has an activity timer, and the battery is designed to last for an entire year. With an Auto Sync feature, this fitness tracker automatically syncs with your mobile devices and uploads important data. Although it’s not a Fitbit, this fitness tracker offers comparable style and functionality. 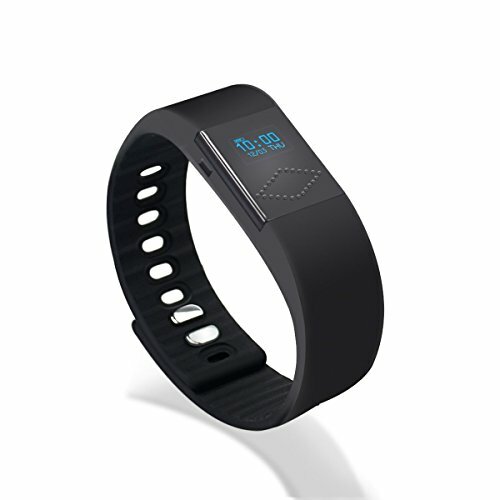 Another top fitness tracker that is similar to Fitbit devices is the Gosund Fitness Tracker C6 smart wristband. It’s available in eight different colors and has an OLED screen. With excellent screen clarity, you’ll find that it’s much easier to read your data. This fitness tracker is compatible with several well-known operating systems and offers several core functions. Since it’s a smart wristband, it has calorie consumption, distance, shake camera, sleep monitoring, time display, step counting and call ID features. The built-in heart rate monitor lets you know if you’re working out as hard as you can. Like Fitbit trackers, the Gosund Fitness Tracker C6 is designed to be comfortable to wear. It uses a silicone band and snaps into place. On a full battery charge, the device should provide up to 10 days of active use. The final product on the list isn’t a Fitbit, but it can give you many of the same capabilities. This product is very basic, but it’s great for people who’re new to fitness. It uses a professional Bluetooth RF signal to achieve 95 percent accuracy, and once the device has been synced with your phone, it will track and log your activities. The PLAY X STORE Bluetooth smart bracelet has a vivid OLED display and lets you choose between five different HD modes. It will track sleep, distance, calories and steps. It even has a vibrating alert function, which prevents you from missing important calls. If you’re looking for a basic product to get you off of the couch, the PLAY X STORE smart bracelet might be for you.